Richard Swaine was my 9th great grandfather, one of 602 ancestors from that generation. That number doubles for the tenth generation, at this rate I'll be writing this blog for the rest of my life! Maybe I can stave off Alzheimer's by doing so. Oh well, here's my latest entry, another Great Migration ancestor who left England about 1635 and set up in New Hampshire and Massachusetts. There are as usual some errors on ancestry.com concerning his parentage and his birthplace. As always, if you think I'm wrong let me know and please show me your documentation to back it up. Binfield was at that time a small village in the county of Berkshire, in the center of Windsor Forest. Most of the manor houses were built after Richard's departure for America, but The Stag and Hounds, a pub in Binfield, was an old hunting lodge said to be used by both King Henry VIII and Elizabeth I. 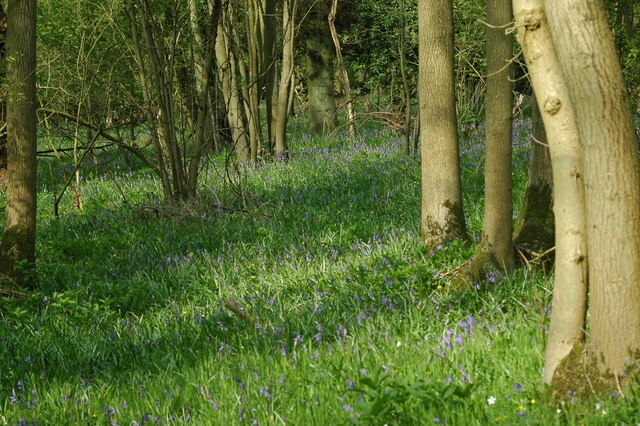 It is interesting to note that there is a copse of trees called Swains Copse just to the southeast of Binfield. Richard's father and grandfather were both named William. His mother's name might have been Elizabeth, his grandmother was Joan Dee Miller Swain. The furthest the family can be traced is to his great grandfather Robert. His date of birth is unknown, Stott suggests 1497 and he was buried in Binfield on 16 March 1556/7. Richard's grandfather William Sr., described as a yeoman, was born around 1527 and was buried on 20 January 1609/10. He married the widow Joan Dee Miller on 20 April 1567. She died in Binfield and was buried on 4 June 1601. William in his will leave his estate to his son William Jr. and his children. Richard was given two ewes, a set of sheets and some candlesticks. Richard's father, William Jr., was baptized 13 August 1567 and was buried on 8 June 1630. He married sometime before 1592, the year his first child was baptized. It seems certain that the infant Richard Swaine who was born and died in August of 1594 was William's second child. The name Richard was reused when William's third child was born just over a year later and he was baptized in Binfield on 26 Sept. 1595. By 1619 Richard was married. His first child, William, was born c. 1619 based on his age at immigration. It is not until the 1634 baptism of his sixth child, John, that the name of his wife is given, she had the very unusual first name of Basill. Her surname is unknown. Their next child, Elizabeth, was born in Newbury, MA. 1. William b. c. 1619, immigrated at age 16, m. 1649 Prudence Marston, d. 22 April 1658 drowned in a shipwreck, his widow m. Moses Coxe and their daughter Sarah Coxe is an ancestor. 2. Francis bp. 25 Jan. 1620/1 Binfield, d. Newton, Long Island before April 1665 probate of will. Richard's oldest sons, William and Francis, were recorded as passengers aboard the Rebecca, sailing from London to Boston in 1635. Richard was enrolled 19 September 1635 on the Truelove, sailing from London to Boston, presumably his wife and the remainder of their children were with him. No one else from his family immigrated. Berkshire was not a hotbed of Puritan ideals so what the impetus for migration was is unknown, this does not mean it wasn't for religious reasons but economics might have played a hand as well. The first recorded stop for the Swaine family was Newbury, Massachusetts. Newbury was first settled in 1635 by a Puritan group from Wiltshire, England. Richard was not there for long, he was never given any land there and his name does not appear in any Newbury records. In September of 1638 his name was on a list of Newbury men whose petition to begin a new settlement was approved by the General Court. In October of the same year his daughter Elizabeth was baptized in Newbury, but the event was recorded in the records of their new home, Hampton, New Hampshire. On 26 March 1638/9 Richard Swaine was sworn in as a freeman of the Massachusetts Bay Colony. He began to accrue land beginning with his first 100 acres in 1639. He fulfilled his civic duty by performing the usual town duties, lot layer, commissioner to end small causes, selectman and he served on both the petit jury and the grand jury. He also served as hayward and pound keeper. A haywards job seems to have been to keep the cattle out of the hay meadows. The pound keeper was in charge of wayward stock and finding out who their owners were. The early colonists were a contentious bunch, they seem to have been always fighting with their neighbors The records of the quarterly courts are full of cases involving name calling, slander, spurious speeches, etc. Trespassing was a common accusation. Frequently townsmen would be involved in multiple cases during the same court session. During the years that Hampton was under the control of Massachusetts their court cases were tried in the Essex Quarterly Courts. At the court held in Hampton on 26 July 1648 Robert Hithersay was involved in six cases. He charged Richard Swaine, and eight other men of trespass, including Richard's son Francis and his son in law Nathaniel Boulter. Trespass usually involved cutting trees or encroaching on property lines, etc. He also seems to have accused Francis Swaine of defamation. But these weren't the only cases that involved Richard and his extended family. The same day a George Barley accused Richard, Nathaniel Boulter and Edward Colcord of some unrecorded misdeed, Nathaniel was convicted for the second time of drunkenness and fined, Richard and Nathaniel accused Robert Lord of unjust molestation, Nathaniel accused Lord of slander, Richard accused George Barley and Thomas Petty, and Nathaniel brought suit against Thomas King and George Barley in separate cases, King returned the favor and charged Nathaniel of defamation. In the same session Richard gave testimony in at least one other case in which he was neither the accuser nor the defendant. In a case in 1652 one Henry Green accused Richard of defamation. It seems Richard had said that Green "had attempted the chastity of Bassill Swaine and used beastly and unseemly carriages and temptations towards Grace Boulter". The charge was withdrawn but Green was later fined for "uncleanness" and bound for good behavior. Nearing 62 years of age by 1657, you would supposed that Richard was looking forward to slowing down and spending the rest of his years quietly in Hampton. He had been freed from further military duty in 1653 and despite the death of his wife Bassill, sometime after 1652 and son Nicholas in 1650 and he had land and his other family around him. On the 20th of the 8th month 1657 a boat sailing from Hampton the Boston sank just outside the harbor, all aboard were drowned. William, Richard's eldest son was one of those lost their life that day. In a twist of fate his widow, Prudence Marston, married Moses Cox who had lost his wife and son in the same tragedy. The subsequent daughter of their marriage is one of my ancestors. On 15 September 1658 Richard remarried. His wife was a widow, Jane Unknown Bunker. They had one son, named Richard, born in January of 1659/60. 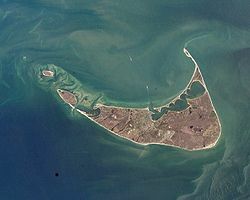 In July of 1659 Richard and a group of men, including his son John, bought a significant amount of property on the Island of Nantucket. On 18 October 1659 and arrest warrant was issued for Richard, Thomas Macy, part of the Nantucket group, and six others. Their crime; entertaining Quakers. In November Richard was disenfranchised meaning he was booted out of the church and lost all his rights as a freeman. The puritans established the Massachusetts Bay Colony to gain religious freedom. But the only freedom they sought was the freedom to be a good puritan, period. The puritans hated the catholic church and all other forms of christian religion, including the Quakers. 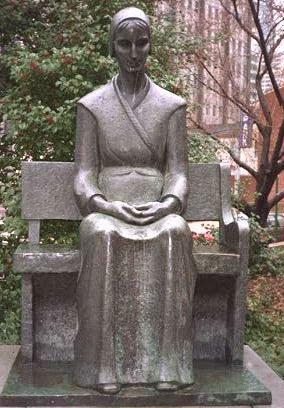 Quaker missionary began arriving in the colonies almost from the beginning of the religion in the early 1650's. The were persecuted, whipped, driven out of the colony and at worst executed. To offer them shelter or to "entertain" them, which I think means allow them to worship in your home, with you in attendance was a crime. Quaker sympathizers were seem as potential recruits and their rights were curtailed. This is what happened to Richard in 1659. 1660 was spent selling off all his land and holdings in Hampton as well as his wife Jane's land in Topsfield which she had from her first husband. By 1661 Richard, Jane and his two sons John and Richard Jr. were in Nantucket. Where they were free to practice their new religion: Quaker. Francis Swaine wrote a letter to his sister Elizabeth Swaine Weare in Oct of 1662 in which he asks her to remember him to their brother John and to say that he is sorry to hear that he had become a Quaker. Sadly, Jane died on 31 October 1662, leaving Richard, now almost 70 with a small son to raise. Richard had good genes on his side and he lived until 14 April 1682, age 87. He did not leave a will, having dispersed all his land prior to his death. I doubt that on the day he boarded ship in London he could ever have imagined the twist and turns that were to come in his long life. New Hampshire Marriages, 1720-1920," database, FamilySearch (https://familysearch.org/pal:/MM9.1.1/FDGJ-WJJ : 31 December 2014), Richard Swain and Jane Barker, 12 Sep 1658; citing reference ; FHL microfilm 1,001,302.
note transcription error in Family Search Index, listed as "Jane Barker"